A full-page puff-piece in the leading San Francisco paper tells an all-too-familiar story: a wealthy San Francisco entrepreneur with time on his hands buys a vineyard in Rutherford, vowing to make wines that rival the best of France. Yawn. He plants Cabernet Sauvignon and builds a showy, state-of-the-art, gravity-flow winery, where gently crushed grapes are fermented on natural yeasts. We've heard it. He says the best wines are made in the vineyard, nourished with an environmentally friendly, mammoth compost pile. Uh-huh. There's not much too add to this, except this article's publication date in the Sunday Examiner: April 6, 1890. Sea captain Gustave Niebaum may have been long of beard, but he was no simple old salt: fluent in five languages, with a taste for Bordeaux, he savvily exploited the business boom of his day, first charting the coast of Alaska and then establishing a trading company. In 1879, he was worth $10 million. Hoping to scout out a French chateau during his honeymoon, he found that his new wife did not have sea legs, and settled for Napa. 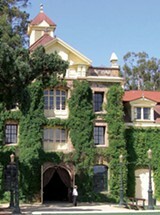 After his death, and particularly after Prohibition, family members continued to establish the Inglenook reputation; the 1941 Cabernet Sauvignon was named among the top 10 wines of the 20th century. Just ahead of the fine wine boom, however, the family sold the winery and its respected name, which successive conglomerates traded on to sell bottom-shelf Central Valley wine. If you're a wine drinker who hasn't been drawing Social Security for a good few years, this is the Inglenook that you know. But here's where the story gets weird—or cinematic, if you will. In the early 1970s, a young film director based in San Francisco placed a bid on the original Niebaum residence, and lost. Several years later, after the buyers lost a fight with the county over their proposed housing development and the director scored a box office hit, he got it. After further success, he purchased the winery and added his name to it. But this wasn't enough for a director whose historical epics and obsessive attention to detail are legendary, until, recently, he bought back the Inglenook label to supersede his own. So what's new at Inglenook? Very little. 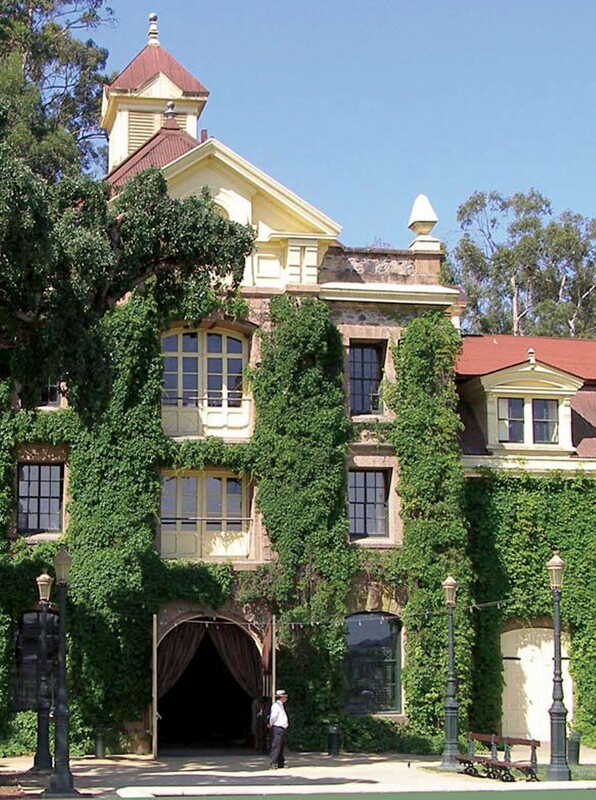 The iconic stone building, robed in green vines, appears exactly as it did in 1890. The Cabernet made here may rival some of best of France. But the landscaping has weathered some changes. Out front, visitors may stroll in a small replica of the Paris park where owner Francis Ford Coppola spent afternoons with writer Mario Puzo, discussing the upcoming film version of The Godfather. Inglenook Vineyard, 1991 St. Helena Hwy., Rutherford. Open daily 10am to 5pm. Reservations for tour and tasting ($50) strongly recommended; none required for wine bistro and exhibits. 707.968.1161.